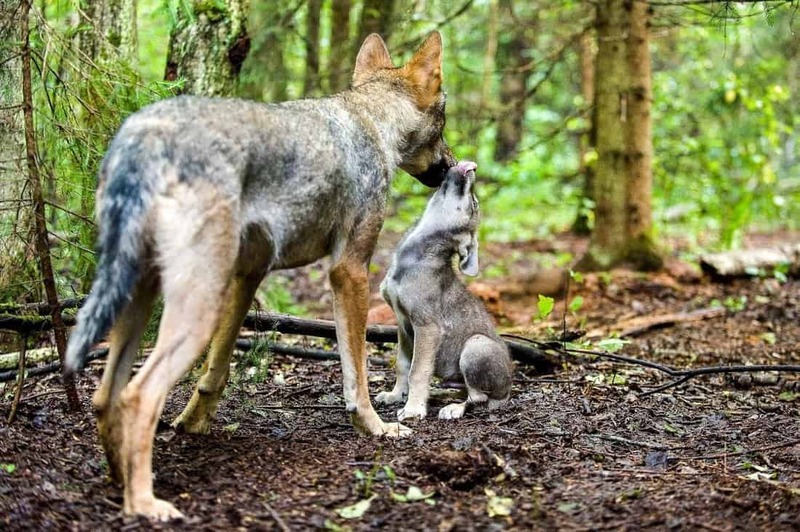 Is there a strategy for Wolf protection in Italy? After days and weeks in which the Wolf Plan looked like a military secret, we all now have in our hand the last version available and we can make some comments. As some claimed, there was no trace of any culling quota of 5% of the wolf population! So, we have a minister who made a false statement in public! But we also have a varied environmental-animal right world that has led a very aggressive campaign without having in hand the final agreement text. The Plan is currently in standby and we do not know which version will recur in the State-Regions Conference. A final decision has again been postponed until March 30th, one day before April´s fool day. The environmental associations, strong because of media coverage, seem intent on continuing the hard struggle against any reference to derogations. But the establishment, the government, the farmers and hunters associations and various lobbies were not allied against us ??? Hard to imagine to totally win this battle, without being presumptuous, especially after the last ministry’s declarations. If the whole Wolf Plan will be withdrawn (as some regions would, in the absence of references to possible derogations), it will have been a bit ‘like throwing out the baby with the bathwater”. Temporarily no derogations, but also no regulation of grazing, reimbursements, damage prevention, information, genetic monitoring, etc. We remember to all that the Plan is a EU obligation. But if miraculously they will just delete the Article 22, the question is how long. The derogations are provided by the Habitats Directive and the Law 157 and the Plan is not the only tool they can use for including them in the Italian legislation. We make a modest proposal as Amicidellupo. The text indicates a list of stringent criteria for asking derogations: monitoring, absence of alternative solutions, damage prevention, as required by the Habitat Directive. It indicates further additional criteria on which Ispra (the Scientific Institute of the Ministry) should provide an opinion. These criteria are referred to as “not” binding. Our proposal is to remove that “not.” In this case the killing of wolves in Italy would become really an exception. At the moment no one Italian region would be in a conditions to request a derogation, until they have invested in other goals. The Plan would respond fully to the Habitats Directive (which can not be Holy or Damned according to our personal opinion) and no one would excuse for bad legislative proposals. One last request to the Government: the day after we would like a text that, as citizens, be able to express our independent opinion, not statements, placements, and media tricks of ministers, regional presidents, parties, movements and associations.